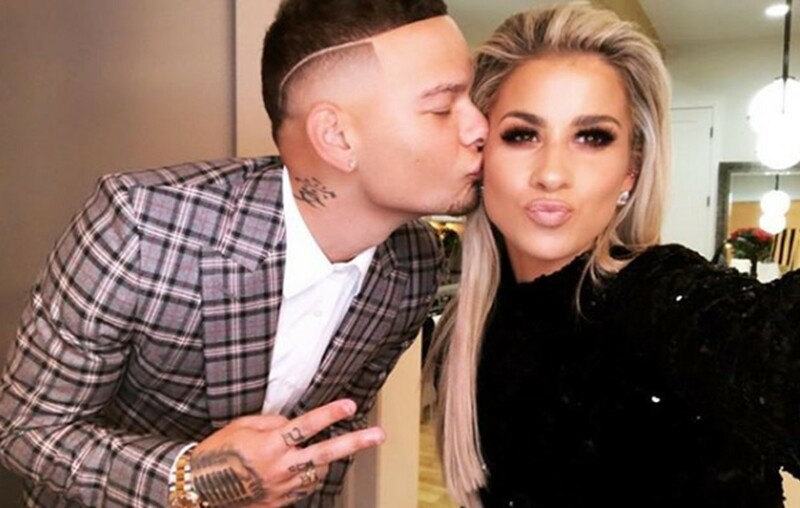 Kane Brown and his wife Katelyn recently got married and are now getting asked about when they plan to have a baby! More here. Country music star Kane Brown and wife Katelyn Jae are already getting pressure to have a baby after getting married in October! As it turns out, fellow country music entertainer Jason Aldean and his wife Brittany are the culprits! The Aldeans are currently expecting their second child together, a girl named Navy Rome, and they want the newlyweds to start a family as well! We guess that’s what happens when friends at different life stages spend a lot of time together! Though the pair won’t be welcoming a child anytime soon, fans can have fun imagining what their kids would look! Little Kane and Katelyn were adorable little kids! Eventually the singer-songwriter would like to have “one or two kids,” but is in no rush as their two dogs are keeping the couple busy enough at home. Brown’s sophomore album, Experiment, dropped earlier this month and his Live Forever Tour will start in January with special guests Granger Smith, Raelynn, Danielle Bradbery, and Jimmie Allen. Share this update with other fans of Kane and Katelyn!